Hi friends! 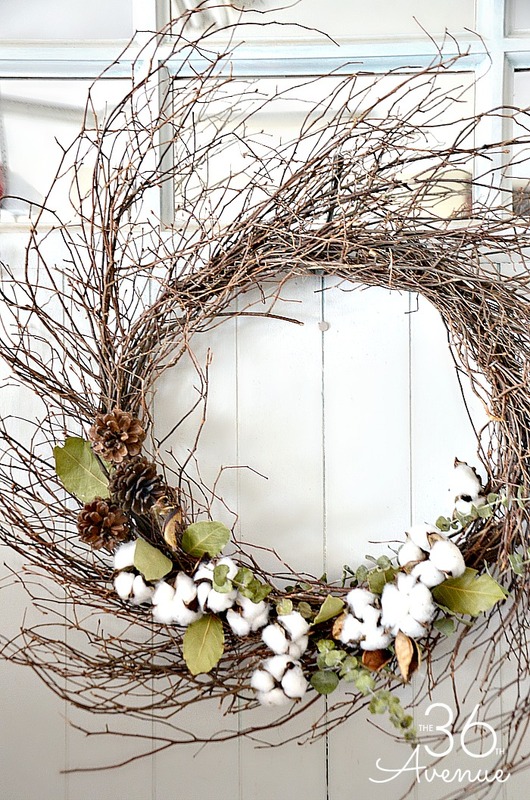 You know by now how much I love sharing wreath tutorials and farmhouse decor ideas. In the next few months you are going to see a lot of DIY home decor projects popping up here at The 36Th Avenue. If everything goes as planned we will be restoring what soon could be our new little farmhouse. I can’t wait to share the journey with you all! 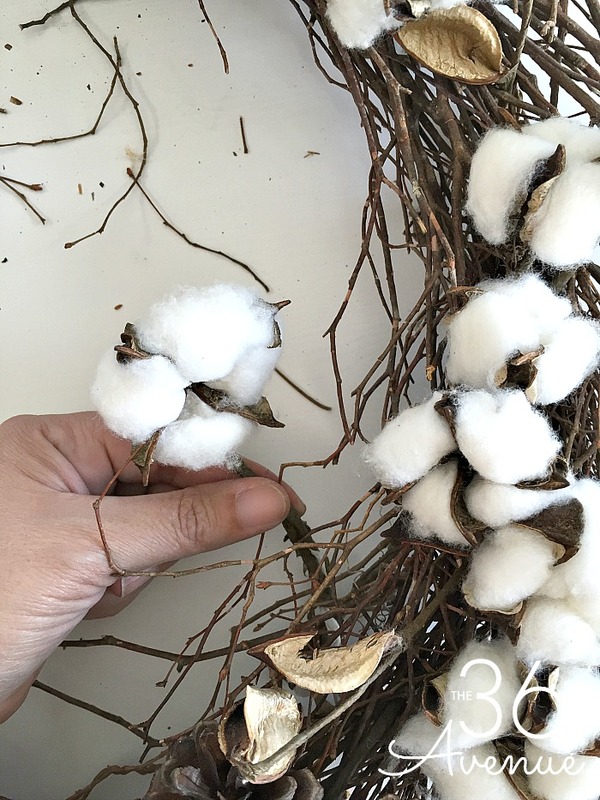 I love cotton branches and natural embellishments so right away I knew a twig cotton wreath would be the perfect addition to our tiny home. You don’t need much to make this craft. The truth is that it took me less than ten minutes to make the entire wreath. I love how earthy it turned out. One of my favorite things about farmhouse style is how neutral colors and natural textures come together in the most simple but charming way. 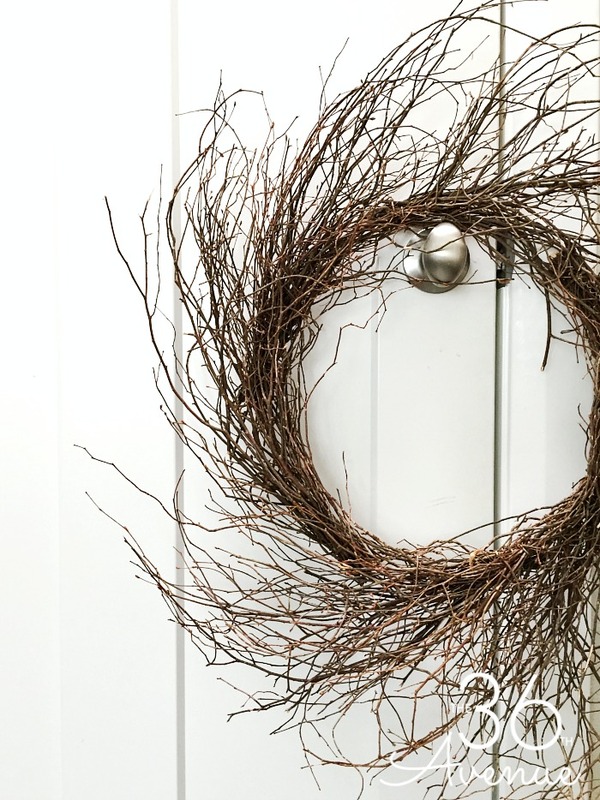 I started this wreath makeover with an old wreath that had seen better days. 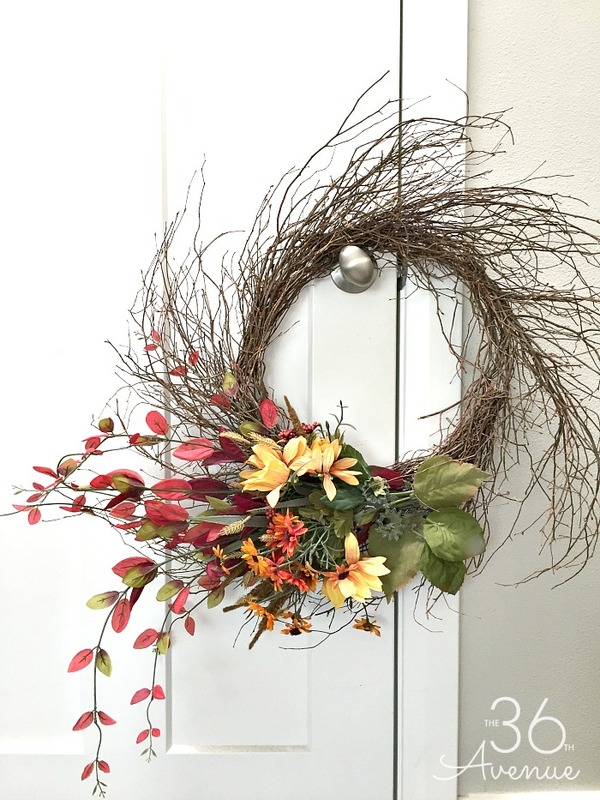 Before you go and buy a new wreath you may want to stop by your local thrift stores. Most of the time you are going to find there a bunch of craft items for a fraction of the price that you would pay at the craft store. In my case I was lucky enough to find this baby for just three dollars! That’s a lot better than paying twenty or more somewhere else. The first thing I did with the wreath was clean it up taking out all the fake flowers and greenery. I am not a big fan of fake in general so right away I liked it better when it was flower free! 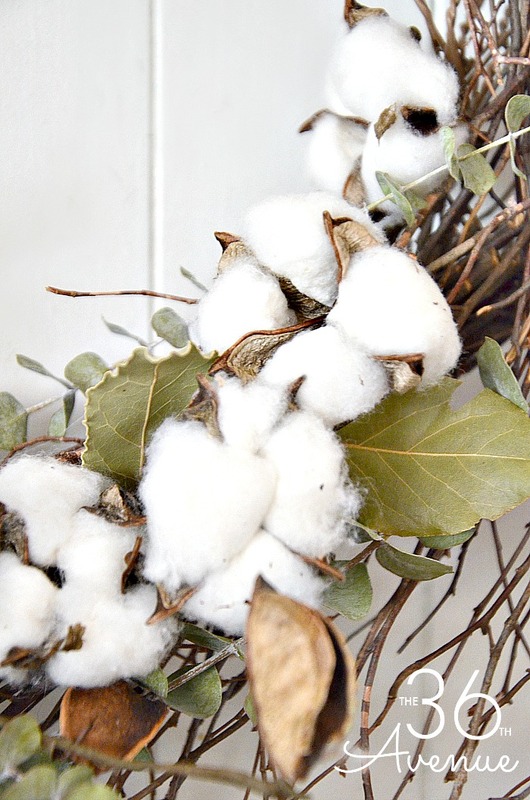 Then I chose natural elements to decorate and embellish the new wreath. 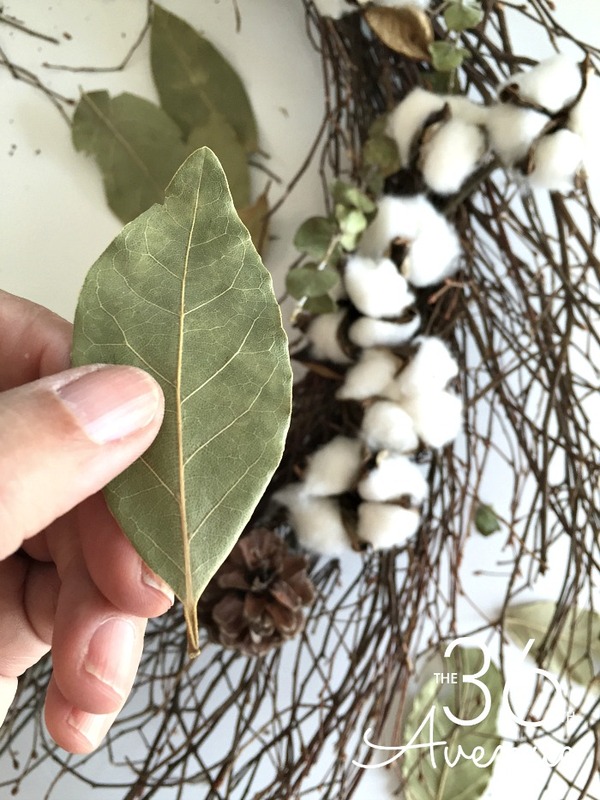 When you are planning on making a seasonal wreath take the time to go outside and pick from mother nature whatever she is willing to offer you. 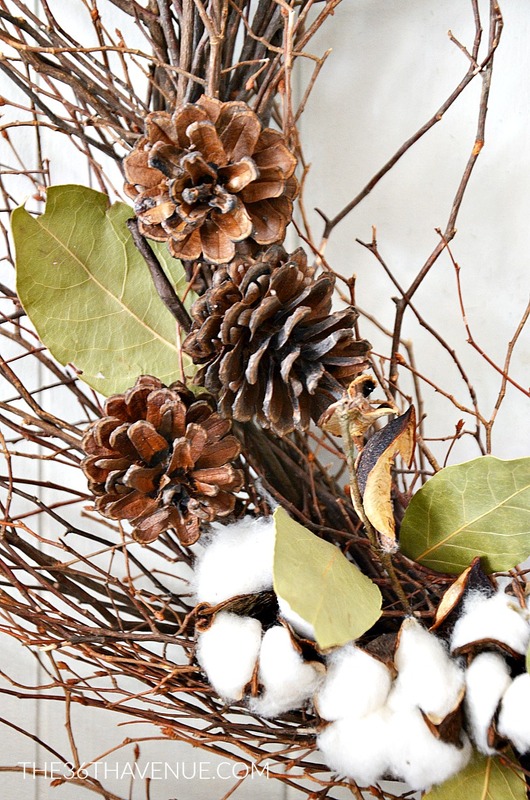 Pine cones are perfect to decorate during this time of the year! 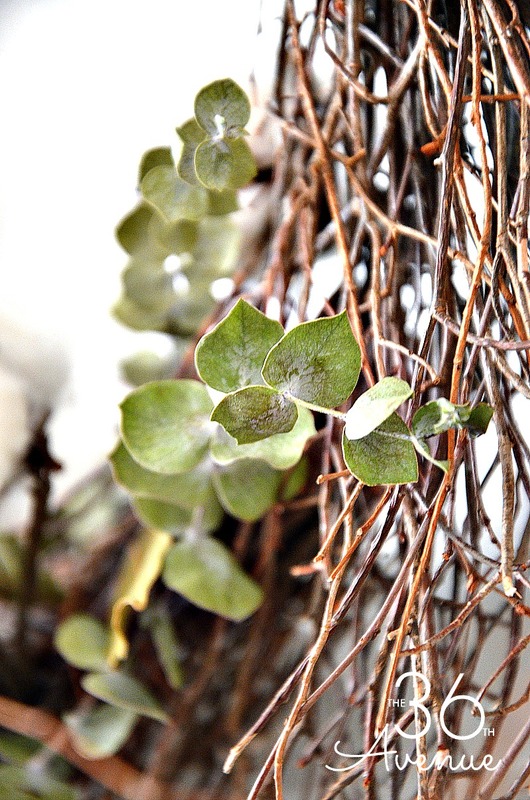 I also used dry eucalyptus because it’s pretty and on top of that smells amazing! The third thing I used was dry bay leaves right from my spice drawer. I am hanging this wreath in our kitchen window so I had to add some flavor! 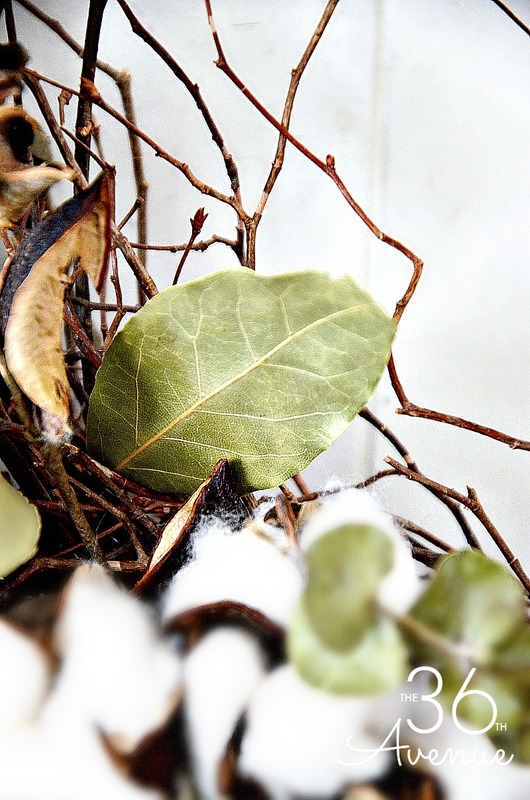 And the last embellishment were cotton branches. You can find similar ones at Michaels. Now that you have all your embellishments, all you have left to do is put them in place and then use thin wire to secure all of them to the wreath. Didn’t I tell you? You’ll be done is less than ten minutes! 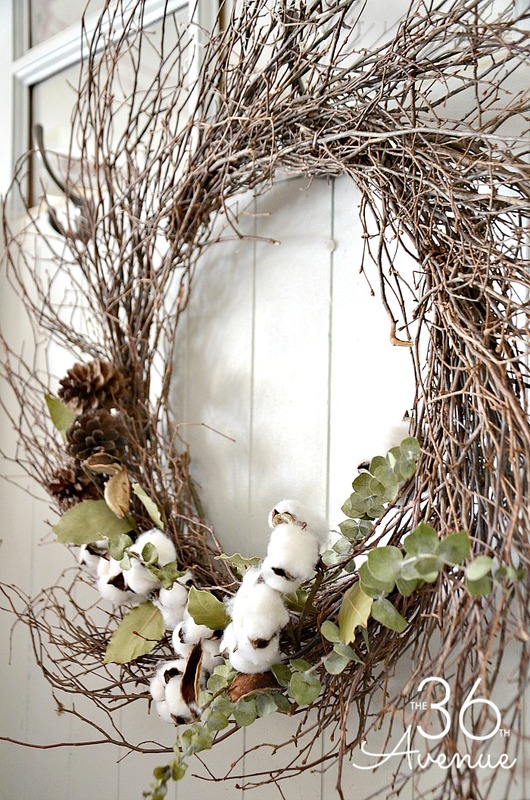 If you love farmhouse decor ideas make sure to check out these beautiful roundups! Before you go make sure to subscribe below to get the cutest free printable and don’t miss a thing! ok seriously I LOVE this!! Its so versatile for each season! So so cute!! Obsessed with this wreath!! So cute. I love this wreath!! I think the simple ones are the best!